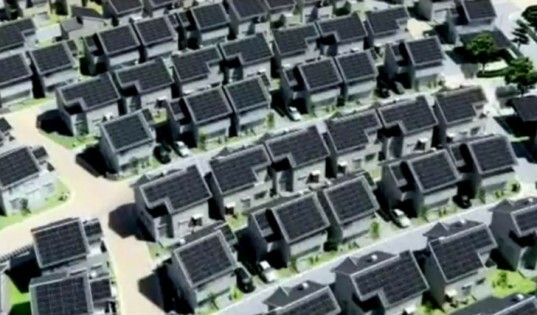 By 2014, Japan may be home to the most advanced eco town in the world. A group of 9 companies announced that they will partner in the Fujisawa Sustainable Smart Town, a breakthrough development of 1000 homes built to be more energy independent than any other modern town. The project will be built on the site of an old Panasonic manufacturing plant, and with the intense attention given to Japan’s energy future after the Fukushima disaster the eco town couldn’t come at a more apropos time. 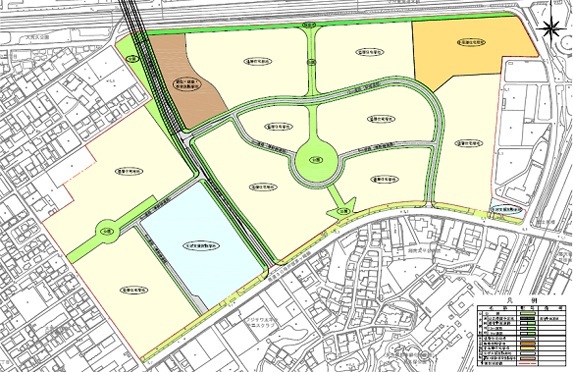 Located 50km west of Tokyo in the coastal city of Fugisawa, the development will incorporate 1000 homes into a deeply integrated smart energy and smart grid system using Panasonic’s “entire solutions” technology portfolio which aims to reduce energy, produce solar electricity and use battery storage at each home. Individually the technologies are well established but this may be the first smart grid development designed from the ground up by integrating the elements together. The town is aiming to reduce CO2 by 70% from the 1990 baseline. The entire town will act as a single energy system. Communication systems linked to each household and each home’s appliances will manage the energy needs to balance what is coming in with what the occupants require, drawing on the battery systems to help with load management. Electrical transportation will be integrated as well as green spaces and other shared community resources—all radiating from a central square which will display the town’s real time energy status. The town’s design will allow it to run off the main grid during disasters, providing extra layers of security to the infrastructure. The development is aimed to be replicable throughout the world, using integrated energy technologies at large scales. By 2014, Japan may be home to the most advanced eco town in the world. A group of 9 companies announced that they will partner in the Fujisawa Sustainable Smart Town, a breakthrough development of 1000 homes built to be more energy independent than any other modern town. The project will be built on the site of an old Panasonic manufacturing plant, and with the intense attention given to Japan's energy future after the Fukushima disaster the eco town couldn’t come at a more apropos time.